Childproofing your home is very important, especially if you have children at the age of 1 to 3 years of age. There are so many dangers to not childproofing your home. Toddlers tend to play and move around a lot and anything can happen if they are not well taken care of or caution is not taken with regards to their access to certain items and places. Apart from feeding them well children need to be brought up in a safe environment. Home equipment and tools might pose both physical and health risks to your child. You can either childproof your home yourself or seek professional expertise. Perma Child Safety has limitless bay proofing product that you can use. Childproofing protects your child from these incidents that might cause injuries or more serious health implications. Here are reasons why you should childproof your home that will ensure that your child’s safety is a priority in your everyday life and enable you to be more comfortable about their safety. Childproofing keeps your items safe. Items that are fragile that can easily break can be safely placed without the worry of your child breaking them. Toddlers cannot differentiate between unbreakable and breakable items and it is up to you to make sure that they are safely stored away from their reach. This also applies to books, chemicals and hazardous components such as household cleaning agents. Avoid getting angry at your child for destroying stuff that you love by storing them safely. Toddlers play a lot and at a certain stage, they will pick everything and anything that they can and either displace it, throw it or put it in their mouths without realizing if it’s okay or not. When you childproof your home, you will limit the instances where items are all over the house making it look messy. We all know how messy children can get especially when they are all alone and quiet. With childproofed items such as kitchen cabinet and drawers, you avoid coming back to all the cereal and flour poured on the floor or all over the house. Bathrooms cabinets and doors should also be locked lest you find the children washing themselves. It can not only be messy but your entire budget might be affected. Your child’s safety always comes first. Children can give you a scare especially if they are playing somewhere quietly and you are not aware of what they are doing. Being at an age where they cannot fully express themselves, it is difficult to tell when a child is exposed to something dangerous. By ensuring that sharp and harmful substances are locked somewhere far where your children cannot access them, you will be childproofing your child and ensuring their safety. Since toddlers have not yet learned safe and unsafe items, childproofing your home keeps them safe for a certain period before they get to the right age where you start teaching them what is dangerous and what is not. Childproofing your home will give you a sense of calmness knowing that where your child is playing is safe. You will be preventing your child from accidents, injuries and also yourself from worrying or having to always replace broken items. The creative team at the Pageant of the Masters – Laguna Beach’s world-famous theatrical celebration of art in tableaux vivants– have always loved challenges. And nothing inspires them more than approaching an artwork they hope to transform into a “living picture” than the declaration, “It can’t be done!” Their philosophy has always been: big risk, big reward. 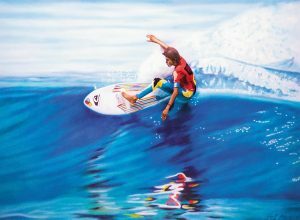 In 1992, when Glen Eytchison, director of the Pageant at the time, first approached Festival exhibitor Gary Prettyman about his vibrant acrylic portrait of surfing icon Kelly Slater executing an athletic maneuver riding a local wave, Gary’s first thought was, “There’s no way they could do this on the Pageant stage.” That summer, Prettyman’s “Cutting Glass” became one of those “how did they do it?” moments in the Pageant, as his acrylic painting became a living picture that seemed to defy gravity in recreating Slater’s dramatic feat onstage. Using photographs as sources for his surfing-inspired paintings, Prettyman was also perfecting his own unique style, creating acrylic scenes that seem to glow from within, as if the painting were floating on the surface of the canvas. In the case of “Cutting Glass,” he’d purchased a photo from a local newspaper photographer covering a surfing competition in 1990 held at Lower Trestles beach. Prettyman was drawn to that particular dramatic shot of Kelly Slater (who went on to win the competition) “cutting glass,” riding a wave. The photographer had rejected the shot because the light and color weren’t ideal. This, of course, was no problem for Prettyman, who was already envisioning the kinetic “pop” he could achieve through his experimental painting technique using transparent colors floating over a clear-coat. Since its earliest years, the Pageant has sought occasional opportunities to showcase local artists. In 1935, Julia Bracken Wendt’s sculpture, “The Spirit of History, Science and Art” was featured as the finale of Roy and Marie Ropp’s 1935 Pageant. This summer’s Under the Sun goes out of its way to feature artworks by painters and sculptors associated with the Southland. But, in revisiting Prettyman’s “Cutting Glass”, there are new reasons to appreciate the artwork and artist. For one, its subject, Kelly Slater, who was already making a name for himself in the surfing world in 1990, has gone on to become one of the acknowledged legends of the sport. Still competing, he’s also spent the past several years creating his “Surf Ranch” in Lemoore, California, where he’s developed technology to manufacture nearly ideal man-made waves in his high-tech “pool” far from the ocean. On a far more personal front, however, this summer’s Pageant also provides another opportunity to be grateful that Gary Prettyman is still with us, and still excited about getting back to painting. In the 1990s, Gary was the victim of a freakish and near-fatal health emergency where he was informed that his survival was nothing short of a miracle. A prolonged and arduous recovery added to the challenge, and he often wondered if he’d ever paint again. Happily, Gary managed a full recovery and is more determined than ever to get back to the art he has always loved. With retirement after 20 years from his day job, he’s excited that a whole new Pageant audience will be introduced to his work this summer. “My goal now is to paint, paint, paint!” he exclaimed. His love of surfing is undiminished by time or circumstance. “I still love the beauty of surfing, the uniqueness, the camaraderie, the tribe, the lifestyle,” he said of his nearly lifelong muse. Among his first projects is a portrait of an old friend who’s a famous surf board shaper soon to be inducted into Huntington Beach’s Surfing Walk of Fame. Prettyman would also love to believe he’ll one day have his art juried into the Festival of Arts again. In the meantime, he’s just excited to have “Cutting Glass” back on the Pageant stage, this time as a highlight of Under the Sun. “Cutting Glass” will also be featured offstage in the Festival of Arts and Pageant of the Masters gift shop. Prettyman’s image will be highlighted on the 2018 commemorative poster and program cover as well as additional merchandise including t-shirts and sweatshirts. The Pageant of the Masters is arguably one of the most unique productions in the entire world. Audiences are amazed and enchanted by ninety minutes of tableaux vivants (“living pictures”), incredibly faithful re-creations of classical and contemporary works of art, with real people posing to look exactly like their counterparts in the original pieces. Pavilions and the Ritz-Carlton Laguna Niguel. 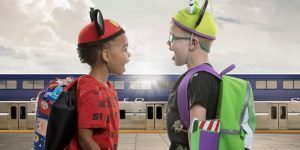 This summer, travel for less on the Amtrak® Pacific Surfliner® and enjoy limited-time savings on Disneyland® Resort theme park admission to experience Pixar Fest through September 3, 2018. The Pacific Surfliner train travels to Southern California’s top destinations including Anaheim, the gateway to the Happiest Place on Earth. Save 15% or more on train travel: Seniors, students, and passengers with disabilities save 15% on train travel with California Everyday Discounts. Kids (ages 2-12) ride half-price with a paid adult. Ages 2 and younger ride free. “We are committed to enhancing connectivity in the communities we serve and are excited to offer savings not only on train travel, but also on a quintessential SoCal summer experience,” said Bryan MacDonald, chairman of the Los Angeles – San Diego – San Luis Obispo Rail Corridor Agency, which oversees the Pacific Surfliner service. “Through this partnership, we hope to enhance the journey for those traveling to the Disneyland® Resort theme park, while also providing added value to our existing Pacific Surfliner customers. Anaheim Resort Transportation (ART) provides a convenient connection from the Anaheim Regional Transportation Intermodal Center (ARTIC) to the Disneyland® Resort, free when you present a valid Pacific Surfliner train ticket. Passengers can travel to ARTIC on the Pacific Surfliner from multiple points throughout Southern California, including San Diego, Orange County, Los Angeles, Ventura, Santa Barbara and San Luis Obispo. Visit PacificSurfliner.com/Disney and use your train reservation number from a recent or upcoming trip to unlock 5% savings on Disneyland Resort theme park admission through September 3, 2018. The offer includes savings on one-day and two-day tickets. Kids Ride 50% Off: One child (ages 2-12) ride half-price with a paid adult. Ages 2 and younger ride free. No promo code is needed. Seniors Save 15%: Travelers ages 62 and older receive a 15% discount on the regular adult fare with promo code V282. Passengers with Disabilities save 15%: Adult passengers with a disability receive a 15% discount on the regular adult fare with promo code V577. Students Save 15%: Students ages 13-25 with a valid student ID are eligible for 15% off the regular adult fare with promo code V353. For more information and for complete offer details visit PacificSurfliner.com/Disney. The Pacific Surfliner travels along a 351-mile coastal rail route through San Diego, Orange, Los Angeles, Ventura, Santa Barbara and San Luis Obispo counties, serving 29 stations. It is the busiest state-supported intercity passenger rail route in the United States with 24 daily trains and annual ridership of nearly 3 million. To learn more and plan a trip, visit PacificSurfliner.com, like Pacific Surfliner on Facebook, or @PacSurfliners on Twitter. There’s nothing more important to all parents than keeping the whole family’s health in check. Maintaining a good diet and regular exercise are just part of it. It’s also about making the most of life, having fun and minimizing stress. So, where do you start? Here are some of the things you should be thinking about to keep your family in top condition. When you’ve got children, you’re bound to face pressure to take them to fast-food takeaway or restaurant for a hamburger and chips. This is natural for all families and it shouldn’t be refused all the time. When it comes to good health, it’s about moderation – having a balanced diet which delivers all the vital nutrients and doesn’t have too much of the bad stuff at play. You can make healthy eating fun at home by allowing everyone to prepare a meal and get involved in the grocery shopping. Healthy eating doesn’t have to be dull and boring. If you’re struggling for inspiration, check out the wide variety of ideas on the internet and specialist blogs and apps that will get you salivating! When you have young children, you will inevitably have a few visits to your health clinic for various issues. Longer term, though, you should make a point of having regular checks for you and your family. Just to keep an eye on everything, to minimize any risks. It’s not just about seeing your doctor, but also about seeing other experts like dentists as well – to maintain good overall health. If in doubt about any problems within your family, it’s always best to seek medical advice and, if you receive treatments for you or your family that go wrong or you are not happy with, then you can get always get help from the likes of the-medical-negligence-experts.co.uk. By speaking to the professionals, they can help you earn the support you deserve, be it financial or not. Alongside a healthy diet and regular health checks, you should also – as a family – keep active. If you have children at school, find out what extra-curricular activities there are on offer after school. Maybe there’s a dance class, or baseball club your kids go join – to pack some extra activity into their lives. How about you and your partner? How much exercise are you getting each week? Yes, it can be tough to find enough time to fit it into your daily and weekly routines, but maybe you could get to the gym for an hour or two each week? Or how about taking up a sport with some of your friends? It could be good for your social life too. 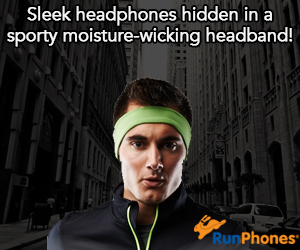 You could also aim for a big event, like a marathon, to give you the motivation to get active. If you know you’re working towards something, then you’ll have more will to drag yourself out of bed in the morning and pull on your running shoes. You could also raise money for charity at the same time. What better motivation could there be? Being on holiday in a foreign country is great fun! Whether you are a student, business person or a holidaymaker visiting Germany, you will never be disappointed. Those who come from Alcalá de Henares in Spain will find a lot they enjoy during their visit to Germany. The country has many attractions, so much so there are probably too many for one trip! 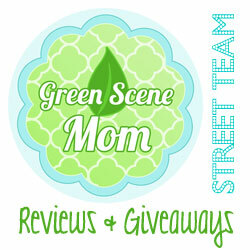 This article will post the best ones that you definitely don’t want to miss! If you are looking for an adventure in the woods with a group of friends, then this dark and dense forest is the place to start sightseeing in Germany. This uphill forest receives a huge number of visitors per year, making it a very popular attraction in Europe. The forest is large and covers a stretch of over 150 kilometers so can make a great location for hikers as well as day-trippers. This icon was built in back in 1791 for King Frederick William II. The structure still stands in Berlin at a height of over 25 meters. The most impressive feature is the horses that stand on top. The gate is supported by large columns, perhaps what has made it remain standing through the country’s turbulent history during the 19th and 20th centuries. . People from all over the world flock to Berlin and take pictures of its iconic gate. Standing tall, this famous cathedral can be seen from great distances. It is an ancient building which began its life in the 11th century. People also call it the Cathedral of St. Mary and St. Peter. Today, it holds its place as of one of the largest cathedrals in Europe. It is a testament to the incredible strength of the builders, with a total of supporting 56 pillars. When you visit, you will be impressed by its history; both students and tourists will have a lot to learn from this site. Trier is located along the banks of river Moselle. It is considered to be the oldest city in Germany, dating back to 16 B.C. Most of the Roman emperors resided here, which ads to its claim to fame. Trier has been one of the most popular cities in Germany for many years. If you’re interested in history, visit this site and you will not be disappointed!